This should be working again if you couldn’t get it last week. Click here to visit the Infusion facebook and like them. Then on the “Free Sample” tab, allow their application and fill out the form to request your free sample. Allow 4-6 weeks for delivery. i’m still unable to apply for this sample. help! Worked for me just fine without Google Chrome. =] Thanks! I want a free sample. 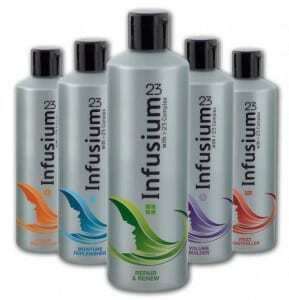 I love infusium 23 treatment. Love this product,its the only one I can use tht doesnt leave my hair feeling like hay!!! on it’s way to meeeeeeeee!!!! yayyyy!!!!!! Cant wait to see how it works! I use infusium all the time. I really like it.